(Natural News) Time to ditch those toxic, cancer-causing chemical insecticides and use natural ones instead. Researchers continue to search for natural pesticides that won’t harm human and environmental health. In a study published in the journal Crop Protection, it was found that citrus essential oil can be used to control pests like vineyard mealybugs. Mealybugs are pests that affect the vineyards around the world because of direct damage and spread of grapevine leafroll disease. A team of researchers from the University of Udine in Italy and the The New Zealand Institute for Plant & Food Research Limited in New Zealand conducted the study in order to find natural products that can be used to replace chemical pesticides to control mealybugs. For the study, the research team assessed the insecticidal activity of kaolin (a clay mineral) and citrus essential oil against the mealybug species called scarlet mealybug (Pseudococcus calceolariae) and long-tailed mealybug (P. longispinus) by conducting laboratory experiments and field trials in New Zealand. They also assessed the insecticidal activity of kaolin and citrus essential oil against the mealybug species called vine mealybug (Planococcus ficus) in Italy. Based on the results of the laboratory experiments and field trials, kaolin was ineffective at controlling the three mealybug species in the vineyards, even though it increased mortality of scarlet mealybug in the laboratory. On the other hand, citrus essential oil decreased leaf infestations of vine mealybug in the vineyards and increased the death rate of scarlet mealybug and vine mealybug in the laboratory. 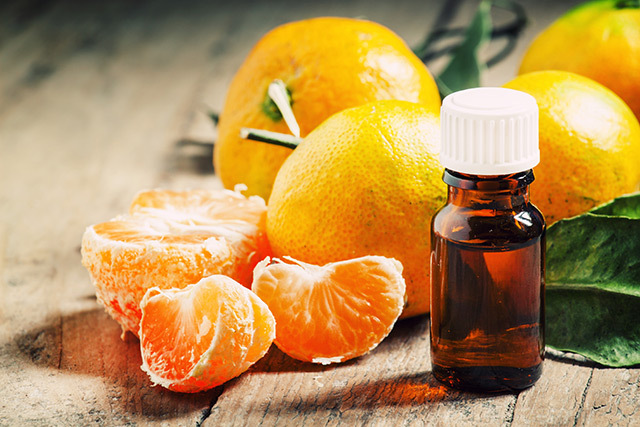 Based on the findings of the study, the research team suggested that citrus essential oil can be used as an effective natural pesticide to replace synthetic ones. Eucalyptus oil: This oil is great for warding off flies, bees, and wasps. To use, sprinkle a few drops of eucalyptus oil to the infected areas. Neem: Ancient Indians considered neem as a potent, all-natural plant for eliminating pests. This extremely bitter tree leaf can be used to make a natural pesticide spray. To make neem oil spray, add half an ounce of high-quality organic neem oil and half a teaspoon of a mild organic liquid soap to two quarts of warm water. Stir slowly, add to a spray bottle, and use immediately. Onion and garlic spray: A combination of onion and garlic can be a great natural pesticide. To make an onion and garlic spray, mince one garlic clove and one onion, then add to a quart of water. Let it sit for an hour, then add a teaspoon of cayenne pepper and a tablespoon of liquid to the mixture. Store it in the refrigerator to make it last for a week. Salt spray: Salt spray can be used to treat plants infested with spider mites. To make a salt spray, mix two tablespoons of Himalayan crystal salt into a gallon of warm water and spray on infected areas. Read more news stories and studies on the many uses of essential oils like citrus essential oil by going to EssentialOils.news.